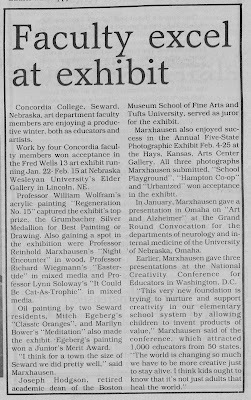 This is a short article about Marxhausen and other Concordia faculty having work accepted to the Fred Wells 13 art exhibit. The work was called, "Night Encounter" and in wood. I checked the photos of wood pieces I have and didn't find one with that title. 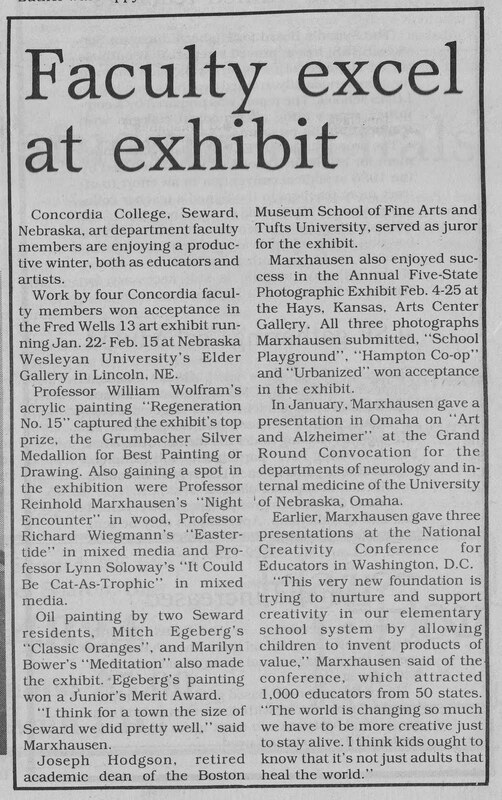 Maybe it isn't in the Marxhausen Gallery collection?